Established in 1973 the Bow Hunters Den / Hunters Rendezvous has a long history as the enduring traditional archery establishment in New England! We specialize in traditional archery, recurve, long bows and related accessories. We have a large selection of traditional archery equipment in stock including custom-made Long bows, Recurves, Cedar arrows, Targets, Books, Videos, custom knives, accessories, and much more! 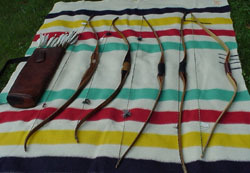 Examples of the many handcrafted bows available at our 'Bow Hunters Den'. 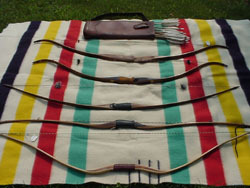 Classic recurve and long bows taken in trade, handcrafted by noted bowyers, available for purchase. 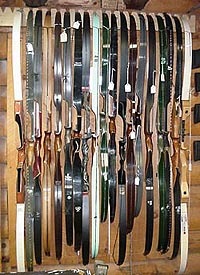 We have over 100 Recurve and Long bows in stock to choose from, both new and previously owned bows. Stop by and check out our selection.